A version of this article appeared on eHow.com, in the Business section. at a Kudler Fine Foods location near you. Kudler Fine Foods is probably the most famous gourmet food shop that's never sold a single morsel of food: nary a wheel of cave-aged Tuscan cheese, tub of cranberry tapenade, nor soy-ink-printed box of hand-rolled, Earl Grey-scented, sea-salt-dusted chocolate truffles. That's because, despite its being the subject of thousands of marketing analyses available on the Internet, Kudler Fine Foods is fictional. In the "Marketing" textbook by Roger Kerin, Stephen Hartley and William Rudelius, a fictional chain of gourmet markets named Kudler Fine Foods serves as an example for study. A variety of hypothetical situations facing the company is posed for students to solve and analyze. Thousands of papers written in response can be downloaded from the Internet. The fictional Kudler Foods has three locations in southern California. The first shop was opened in La Jolla in 1998 by one Kathy Kudler, a visionary woman who wanted one spot where she could buy everything she needed to make dinner and believed launching a chain of gourmet markets was the solution. The Del Mar and Encinitas locations were underway within five years, and the quest for the perfect location for a fourth shop is left as an exercise for students. Josef von Kudler was an influential economist in the Smithian cameralist tradition. In the 1850s and 1860s, his works were standard reading in Austrian universities. Kudler's belief that value is not inherent in goods, but arises from the intensity of people's desire for them, seems to fit nicely with the concept of a purveyor of expensive versions of ordinary food items. Using the name Kudler for a gourmet shop in a marketing textbook may be a tribute to this historical figure. Writingpedia: In Search of a Paper on Strategy Kudler Fine Foods? A version of this story appeared on eHow, in the Hobbies & Science section. that can be used as drinking straws. The natural world provides lightweight, hollow tubes suitable for sipping beverages in the form of grass stems. Humans have been making use of these as drinking straws for thousands of years, as we know from evidence of the ancient Sumerians. Dried grass stems -- straw -- is the model from which man-made drinking straws were first mass-produced in the late 19th century. Drinking straws are cheap and readily available at any grocery, but it can be fun to make your own out of unexpected materials. 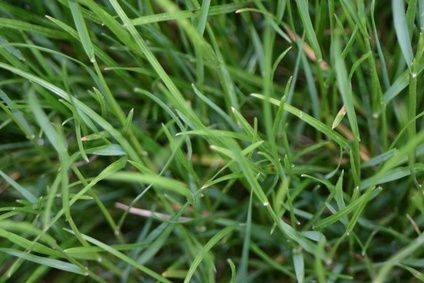 Plant a patch of bamboo, cereal grasses like wheat or rye, or ordinary lawn grass. Most grasses have hollow stem segments that can be dried and used as drinking straws. Grow your grass until the stems are the length you desire for your drinking straws. This will take several weeks. Alternately, find a vacant lot where the grass is already long enough for your purpose. Harvest your grass. Use garden snips to cut the grass stems to the length you desire. Cut off any seed heads. Snip off the nodes, the elbow-like joints that separate the stem segments. Use your grass stems immediately as drinking straws, or, for better results, dry them into straw. Spread out your grass stems in a sunny location outdoors and allow them to dry, or tie them in a bunch with string and hang them in a well ventilated spot. They should be dry enough to use as drinking straws within three to five days. Cut off the ends of a light-duty electrical extension cord. Light-duty cords have two parallel flexible tubes. Make a 1-inch vertical cut along each of the parallel tubes of the cord. Get a firm grip on the electrical wiring inside one of the tubes by winding it a few times around the shaft of a screwdriver. Pull the wiring out and discard it. Repeat with the other tube. Cut off the slit portions of the tubing and discard. Use the empty tubing as a super-long drinking straw, or cut it into several flexible drinking straws of whatever length you choose. You can also separate the two tubes and make single-barreled drinking straws. Cut aquarium tubing into whatever lengths you desire for your clear, flexible DIY drinking straws. Incorporate these into, for example, an undersea-themed party. Make several 2-foot to 3-foot lengths of drinking straws and place them by a punch bowl filled with light-blue colored punch and toy plastic fish so your guests can sit around the bowl with their straws directly in the punch bowl. Use plastic, hollow coffee stirrers as drinking straws. Legions of small children have independently discovered these DIY straws already, but that's no reason you can't take advantage of their ingenuity. Repurpose a hand-pumped soap dispenser into a drinking-straw assembly. Empty and thoroughly rinse a hand-pumped soap dispenser or hand sanitizer dispenser so that no trace of soap taste remains. Fill the dispenser with the beverage of your choice and sip from the nozzle. Snip off the ends of licorice sticks. Serve these edible drinking straws along with fruit punch at a children's party. Bamboo will grow in the southern regions of the United States. Wheat and rye will grow just about anywhere in the continental United States. Lawn grass cut to the usual height is only long enough to form blades. After a few weeks without mowing, it will form the hollow stems characteristic of grass plants. Aquarium tubing is similar in diameter to commercially made drinking straws. It is inexpensive and available just about anywhere pet supplies are sold. You can purchase empty soap dispenser assemblies from craft and boutique stores and make these into drinking straws, too. Fine Gardening: Grasses, Rushes, and Sedges, Oh My! A version of this article appeared on LIVESTRONG.com. In the 1950s people weren't afraid of eating fat, and they didn't have nonstick pans, which weren't introduced until 1961. To cook a hamburger 1950s style, you need meat that's no less than 30 percent fat and a bare-metal surfaced pan. In the 1950s you might have cooked a hamburger in a cast-iron or aluminum skillet or heavy-duty stainless steel skillet. Some cooks used French, or non-stainless, steel, such as those used in restaurants today. Each of these produces a distinctive outer crust. Other 1950s burger styles approximated fashionable ethnic culinary ideas. MSG was a popular enhancer. Purchase ground beef that is 70 percent lean and 30 percent fat. Ask your butcher to prepare such a blend for you if it is not readily available. Alternatively, chop 5 oz. suet finely, removing any membrane. Place in blender and blend until finely chopped. Mix in a mixing bowl with 11 oz. very lean ground beef to create a hamburger mixture that is 70 percent lean and 30 percent fat. Mix into the beef 1/4 tsp. MSG, which is sold as a seasoning under the brand name Ac'cent. Use a gentle touch, so as not to compress the meat any more than you can help. Shape into four equal patties, each 3/4 inch thick. Do not compress meat any more than necessary. Heat a bare-metal surface skillet made of cast iron, aluminum, heavy-stainless steel or blue steel until a small droplet of water sizzles immediately when dropped on the surface. Sprinkle 1/4 tsp. salt over the surface of the skillet. Place the patties on the skillet on top of the salt. Cook the patties on the sizzling hot skillet for four to five minutes on one side. Turn them over and cook for another four to five minutes. Purchase ground beef that is 70 percent lean and 30 percent fat. Ask your butcher to prepare such a blend for you if it is not readily available. Alternatively, chop 5 oz. suet fine, removing any membrane. Place in blender and blend until finely chopped. Mix in a mixing bowl with 11 oz. very lean ground beef to create a hamburger mixture that is 70 percent lean and 30 percent fat. Mix into the beef 3/4 cup sour cream, 1 tbsp. Worcestershire sauce, 2 tsp. dehydrated onion flakes, 3/4 tsp. salt and 3/4 cup corn flakes for sour cream burgers. Alternatively, mix into the beef breadcrumbs from one slice soft white bread; 2 tbsp. chopped onion; one egg, slightly beaten; 1 tbsp. sugar; 2 tbsp. water; 2 tbsp. soy sauce; one small clove garlic, minced; 1/8 tsp. MSG; and 1/16 tsp. ground ginger. Let mixture rest 1/2 hour in the refrigerator. Broil burgers 4 inches from broiler flame for five minutes. Turn them over and broil the other side for five minutes. Thrift shops or online collectible auction sites are good sources of period 1950s cookware. Many modern stainless steel pans are of a much thinner gauge than those made in the 1950s and may burn your hamburgers instead of cooking them properly on high heat; if you're using stainless steel, be sure it is a heavy gauge such as All-Clad makes, or a vintage pan such as a 1950s-era Revere Ware pan. 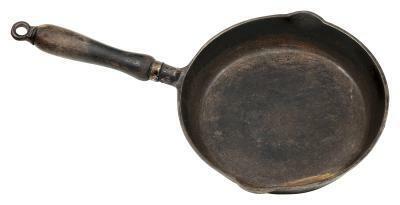 Modern cast-iron pans have a rough interior that won't produce the same cooking result as the smooth interiors of pans you can still find secondhand or as collectibles. French steel, also called blue steel, is available at restaurant supply stores and online. MSG is a controversial food ingredient, although scientific evidence for its being a hazard have been inconclusive. Although Americans are less likely to add it to recipes today, MSG consumption has tripled since 1950 because it is added to many processed foods. Could alternative agriculture be Dane County's antidote for sprawl? Through site selection and product placement, Dane County businesses support responsible growth and local agriculture. On the Capitol Square in downtown Madison, dollar bills and jars of jam flash across a vendor table in brisk trade. The woman busy behind the table grew the fruit for the jam on her own land, according to the strict requirements of what well may be America’s largest open-air farmers’ market, where an approximate quarter-million dollars is generated each of 28 Saturdays in the year. The waiting list for an open stall is three to five years long. And it’s not just the market that’s been a huge success. Over the last 20 years, Wisconsin’s capital city has become a mecca for locally produced agricultural wares. Dane County restaurants, grocery stores and other businesses are leading the Midwest in a national movement toward regional and sustainable agriculture. Whether featuring regional products on the day’s menu, giving locally grown produce prime shelf space, or making siting decisions that protect farmland, businesses are fighting to keep the county’s agricultural heritage alive. But urban sprawl, spurred by a growing economy and population, threatens the very source of the bounty: the open, pastoral landscape of Dane County. According to the June 2000 “Farms and Neighborhoods” report from the county executive’s office, at the current rate of development, the farmlands will be virtually gone by the century’s end — and with them, a defining feature of the county. Visually, agriculture is the area’s most striking element, far more prevalent than parkland. Southcentral Wisconsin’s farm vistas, with sweeping fields punctuated by stands of trees and grassy ice age hillscapes — gentle oval drumlins, winding eskers — beckon tourists from Wisconsin cities and neighboring states. And this natural beauty is easily accessible to everyone living in Dane County: Even from the center of Madison, bucolic scenery is as near as a 15- or 20-minute drive in any direction. It’s a treasure, and not just when compared to strip mall suburbia. Some rural landscapes may be flat and featureless; Wisconsin’s is exquisite and endlessly diverse. A few years back, Money magazine rated Madison the country’s most livable city, and population trends indicate that many people agree. In the 1990s, the county’s population rose an estimated 16.7 percent — an additional 61,500 people bringing the total close to 430,000. But as businesses and new residents race to take advantage of the area’s amenities, development patterns have been less than ideal. In February, USA Today ranked Madison one of the most sprawling of all midsized cities — the 65th worst out of all metropolitan areas. The American Farmland Trust has labeled the high-quality farmland in southern Wisconsin the third most threatened in the nation; Dane County lost 48,000 farm acres over the last decade. So, how important is agriculture here? Dane County’s revenue from agricultural products, nearly $285 million per year, is by far the highest in the state, according to the most recent U.S. Agricultural Census. With more than 2,500 farms, Dane County leads the state in production of corn for grain, and is high on the list when it comes to soybeans, fresh market vegetables, fruit and flowers. An expanding part of this industry is “alternative” agriculture in its various forms: farmers’ markets, U-pick orchards and vegetable patches, and environmentally sensitive farming methods like organic and sustainable agriculture. Businesses who value Dane County’s special character can help by putting their considerable muscle into supporting land-use policies that help farms stay in business, says Lewis. Making siting decisions that are friendly to farms and natural resources is another powerful tool, with an even more immediate impact. Once a siting decision is made, landscape architects and building architects can work together to ensure that the new facility will have a low — or even beneficial — impact on natural resources, through canny positioning of buildings on the lot, plantings and more. Also, businesses can get involved in local efforts to take advantage of the state’s new Smart Growth Initiative. Smart Growth rewards municipalities that comply with state guidelines for growth. Lewis encourages business leaders who are planning new construction to talk to county and municipal officers, and find siting solutions that are good for everyone concerned. To Lewis, the countryside is a mosaic of interdependent elements, each reinforcing the other. He’s identified “corridors of exceptional natural diversity,” including farms as well as parks and historical attractions, which support the tourist industry. Wetlands, water systems and steep topography — where terrain is at a 12.5 percent slope or greater — are also key features. Says Lewis, “We’ve inventoried key patterns of natural diversity. Anybody can call them up and interact with them on the county’s Web site.” But neither wetlands nor steep topography, for instance, are protected by law. So it’s up to individual decision makers to make each choice a conscientious one. Part of the problem, says Arts, comes when decisions are made piecemeal, instead of as part of an overarching plan. Individual exceptions to municipal planning policies add up to a general pattern of sprawl — residential, commercial and industrial. However, Lewis says “there’s ample room for building without encroaching on or destroying resources.” “Farms and Neighborhoods,” to which Arts contributed, supports that: the report says there’s plenty of developable land within Dane County’s existing city and town borders — enough to fit the expected growth for decades to come. Odessa Piper is one local entrepreneur who’s earned national acclaim by directly — and vocally — supporting local agriculture, and encouraging more businesses to do the same. 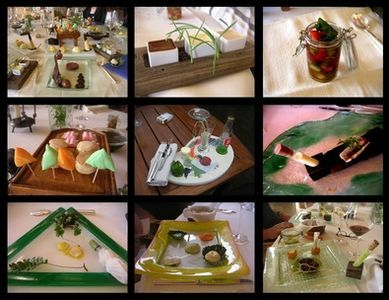 Her restaurant, L’Etoile, serves upscale cuisine based on locally produced foods. For more than 25 years, Piper has built tight relationships with more than 100 Wisconsin farmers and producers, who supply everything from strawberries and spinach to bison and veal. “We put the customers and the dining room in touch with the local farmers by creating the synthesis from the field to the table,” she says. “People are delighted by it. Customers love to be part of the solution.” Piper is an activist as well as a restaurateur, writing and speaking around the nation about the importance of supporting local agriculture. She’s been featured in national magazines like Bon Appetit, Sierra and Wine Spectator, and she’s had a tremendous influence on the growing number of restaurants in Madison and in the rest of the Midwest who now purchase directly from nearby farmers. In a country where food travels an average distance of 1,300 miles from farm to table, restaurants and food service are just beginning to take advantage of the premium merchandise offered by local farmers. A few years ago, Home Grown Wisconsin, a 20-farmer cooperative, broke into a new restaurant market: Chicago. There they were welcomed by chefs starving for locally grown food. Even the UW dining service is beginning to look into local connections, testing the waters with annual organic, regionally grown dinners. The UW’s Center for Integrated Agricultural Systems, a research facility within the College of Agricultural and Life Sciences, points out that if UW dining bought just 10 percent of its food from Dane County farmers, it would keep an extra $1 million within the local economy. Besides restaurants, grocers are increasingly keen on locally grown produce. It’s easy enough to guess that natural foods stores like Williamson Street Grocery Co-op, Whole Foods Market and Magic Mill Natural Foods Market would support local, smaller-scale agriculture. But big supermarkets are also getting in on the local action, and Dane County is the focal point. What the CPDC discovered was a strong preference for locally produced food; now Copps buys local whenever possible. “The growing season is short here, so that’s the biggest limitation,” Pozorski says. “But in season we sell 100 percent Wisconsin sweet corn, for instance. There’s nothing better than Wisconsin sweet corn when you’re in Wisconsin.” Apples and potatoes are also big crops, and they store well, too. Wisconsin is the third largest potato producer in the U.S. “They’re the best in the world. You can’t beat a Wisconsin spud,” Pozorski says. Locally grown organics and other specialty crops are growing in popularity and availability, too. “We have a lot of new growers approaching us,” Pozorski says. Star Liquor in Madison finds that locally produced goods are a big draw. “People want to support the local economy,” says manager Mark Mason. “They want to know where their money is going. People want to drink local — I give them what they want.” At least 25 percent of Star’s beer sales are regional brands, says Mason, adding “that doesn’t include Miller, Leinenkugel and Point” — popular Wisconsin-brewed beers with out-of-state ownership. Mason points out that Dane County is the proud home of Capitol Brewery, rated America’s #1 brewery by the Beverage Tasting Institute in 1998. Even wine from Wisconsin sells well, especially at Christmastime for gifts to ex-Wisconsinites. In a refrigerated case next to the champagne, Star also sells specialty cheeses from Bleu Mont Dairy. It’s the only place other than the Farmers’ Market on the Square where this Dane County dairy’s cheese can be purchased. If healthy, vibrant farms are key to averting sprawl disaster in Dane County, then alternative agricultural methods — and perspectives — will increase in importance. Compared with traditional megacrops like soybeans or corn for grain, which gross about $275 to $375 per acre, grosses for fresh market vegetables can range from $8,000 to $16,000 per acre, with a net of between $4,000 to $9,000. Therefore, to support a family, specialty vegetable farms don’t need to be as big as conventional feed crop farms. Organic milk, meat, vegetables and fruit are more labor-intensive to produce, but they do command higher prices in an expanding market: the market for organic has been steadily growing by 20 percent yearly since 1989. The Miller Farm in Dane County’s Town of Bristol is Wisconsin’s largest organic dairy farm, with 350 milk cows. Because their milk is organic, the Millers can sell their milk for 50 percent more than the conventional price. And there’s plenty of room for niche marketing. For direct sales, there’s the 300-vendor Dane County Farmers’ Market on the Square, as well as markets in Middleton, Sun Prairie and Fitchburg, and outside Madison’s Hilldale Shopping Center. There are roadside stands where farmers set up informal shop for the day. U-Pick orchards and berry patches let you walk through the growing fields yourself, and are often touted as an attraction for children. Despite these opportunities, the future of Dane County’s rich agrarian tradition, and the beautiful landscape that comes with it, is far from certain. From here, Dane County may join the list of America’s lost paradises. Or it may become a great success story, a blueprint for others to follow. How the business community approaches development, how strongly it supports locally produced foods, and the stand it takes on land-use policies — all these will play an incalculable role in the shape the county will take. A version of this article appeared in Brava magazine, March 2010. The journey of ten thousand miles begins with a single bite. Many of us think we need to change the way we eat: that we should eat less processed food, less junk food, less food on the run, and maybe just plain less food. But increasingly, it seems the entire food system could use some serious adjustment. More and more, we’re taking notice of some troubling facts. Too much our food comes from thousands of miles away, so that it takes lavish amounts of petroleum just to get it to our plates. Too much of it is elaborately packaged, generating lots of trash. Too much of it is produced by agribusiness operating on an enormous scale, even as our own Wisconsin family farms continue to shut down. Too much of it is peppered with pesticides and herbicides, and grown in biologically “dead” soil soaked in chemical fertilizer. And too much of it comes from animals that really could be treated better. A lot of people – many of them right here in southern Wisconsin – have been working very hard for decades to change this dismally inefficient, environmentally devastating, unhealthful shape of things. Recently, movies like Food, Inc. and author Michael Pollan’s bestselling books, In Defense of Food and The Omnivore’s Dilemma, have brought mainstream attention to these issues. Sustainable eating, a phrase being heard more and more these days, is one popular description of the multi-featured groundswell of grassroots response by concerned eaters and growers to all these issues. 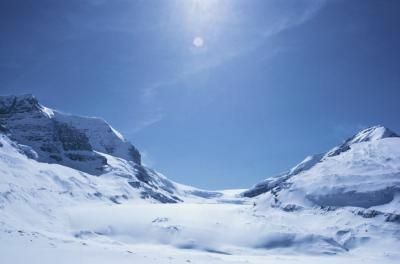 In fact, it might seem a bit overwhelming, wondering how to start. You might worry: Is this just one more thing for me to feel guilty about not doing right? Do I have to give up my favorite foods? Can I still shop at the supermarket? Can I ever eat out? Do I have to slave for hours in the kitchen? Do I have to start a garden and get dirty? What if I don’t have time to shop at the farmers’ market – and what would I do with the weird stuff I bought there, anyway? And the expense! Will I go broke trying to live on whole, fresh, natural, locally produced food? Relax. Breathe. That’s not what this trip is about. If you want to change the way you eat, some of the area’s sustainable food leaders have shared their insights and advice for making some tasty transitions, one forkful at a time. 1.Pay attention. The first step is just to increase your awareness. Let yourself wonder all sorts of things whenever you shop or order out. Where did it come from? How did it get to you? Who handled it? How did it get to look the way it does? Could your great-grandmother have made this out of raw ingredients? Or does it look like a factory and lots of patented technology is required to make it? Where will the packaging and the scraps go after you’re done with your meal? Let your mind become accustomed to drifting along these directions. Any concrete measures you decide upon will connect naturally and easily to your train of thought. 3. Read labels. Make it a habit not to put anything in your cart until you’ve consciously chosen to accept each ingredient. You can go a long way by choosing just two or three key offenders to avoid, without needing a chemistry degree. Try crossing these two off your shopping list: monosodium glutamate (MSG) – which adds a quality known as umami, or “tastiness,” but also makes you crave more food while deadening your palate – and high-fructose corn syrup (HFCS), a highly refined substance metabolized differently from traditional sugar that’s drawing fire for possibly contributing directly to today’s obesity epidemic. 4. Shop for ingredients, not meals. If you’re concerned about price, this is the best way to turn the equation around to your favor. For instance, if you take microwave-ready lunches to work, the “all-natural” equivalents will be pricier. But if you prepare meals from scratch – say, a chef’s salad, pasta salad or lasagna – you’ll be able to swap in the finest local ingredients and come out even or ahead. 6. Choose local products. Many Madison grocers identify these. Metcalfe’s has won national awards for its “Food Miles” program locating “anything within Wisconsin or in a 150-mile radius from Madison,” explains Caplan, with signs like highway markets. “For instance, Capital Brewery is 5 miles.” Similarly, Williamson Street Grocery Cooperative names the local farms that grow its produce and labels local items throughout the store. If your supermarket doesn’t highlight local products, talk with the manager or drop a note in the suggestion box. If you don’t cook much, “you can split a share” with a friend or neighbor, Mulvey suggests. MACSAC’s cookbook, From Asparagus to Zucchini, will help you figure out what to do with that kohlrabi, or fennel, or whatever unfamiliar treasure might be in season. “The beautiful thing about CSAs is, it pushes you to try things you might not otherwise,” Grunes says. Incredibly, Physician’s Plus, Dean, Unity and GHC pay you up to $200 in cash when you present your CSA receipt. “That’s a recipe for good health,” Grunes says. Interested in learning more? Visit MACSAC’s CSA Open House March 14 at the Monona Terrace. New to the scene? “Ask to go with a friend who’s familiar with that market, as a sort of tour guide. People have favorite foods and favorite vendors,” Strader says. During the growing season, there’s a market every day of the week somewhere in or near Madison. REAP’s Farm Fresh Atlas, available online and in print, will help you find one that’s convenient to you. 10. Grow something to eat. “Gardening is my favorite thing to do, but it isn’t for everybody,” Grunes admits. If you want to dip a toe in, “herbs are a great way to start. You can do it in a window box. Just snip off what you need; you won’t have a whole cilantro package going bad in the fridge.” Tomatoes are fairly easy to grow, also, and the payoff is big. “A warm tomato from right out of the yard – it doesn’t get much better than that.” Or any more local. 13. Get informed. Read books like In Defense of Food or Sally Fallon’s Nourishing Traditions. Get on the e- mailing lists of organizations like REAP and Community GroundWorks so you can take advantage of upcoming events where you can learn about and enjoy local foods, and even find volunteer opportunities.